Even the best marketers out there learn from others. And that’s why I will always recommend people to follow, places to look, and things to read in order to sharpen your skills and gain insight and inspiration. In the past I’ve shared blogs that I read with you. Today, I will start my once monthly book list. 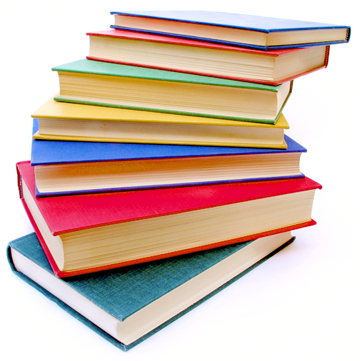 This October, there is a book for everyone! Enchantment: The Art of Changing Hearts, Minds, and Actions by Guy Kawasaki. I’ve reviewed this book on my blog before. This is a good read for anyone, especially those of us in business, as it provides some real insight into the psychology of spreading your ideas or vision. Good to Great: Why Some Companies Make the Leap and Others Don’t by Jim Collins. If you think that a strong corporate culture can mean the difference between success and failure, you’re not alone. This book takes you inside successful companies and shows you just how strong a culture can be. Unmarketing: Stop Marketing, Start Engaging by Scott Stratten. We all know that the world of marketing has changed forever. This book will show you how, and will introduce you to the new ideas that marketers are using to change with it. Crush It! Why Now is the Time to Cash in on Your Passion by Gary Vaynerchuk. If personal branding is the biggest question on your mind, this is the book that will answer it. Find out how to use the incredible power of new media to give yourself a boost. Likeable Social Media: How to Delight Your Customers, Create an Irresistible Brand, and Be Generally Amazing on Facebook (and Other Social Networks) by Dave Kerpen. Don’t get thrown by the long title, it won’t take you very long to draw some real inspiration from this book. 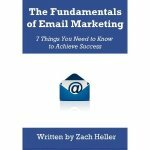 The Fundamentals of Email Marketing: 7 Things You Need to Know to Achieve Success by Zach Heller. Shameless? Yes. Still worth reading? I think so.